Our table is handcrafted of solid wrought iron stock and tubular steel, and features a solid top, umbrella hole, and pedestal base. 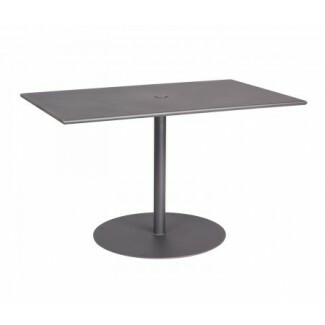 This table is made to order, allowing you to choose the frame finish that best suits your individual decor. Our Transitional Table Collection has a lead time of 3-5 weeks from the time your order is processed.